Wood carving is one of those disciplines that is essential for every handyman. Nothing beats the feeling of accomplishment when you complete a wood carving project because you’ve created something either functional or beautiful, or both. With wood carving, not only do you get to learn carving techniques, you also get to learn more about the different types of wood in the world. to different techniques, have different types of hardness, and various types of grains. Figure out what you need the wood for. Certain woods are best for furniture, which means you need to select a species of wood that is thick and can take on the weight of a person. Hardwood floors, on the other hand, need wood that can withstand daily wear and tear. Creating a wooden door requires that you select a wood that is thick and can outlast harsh weather conditions. 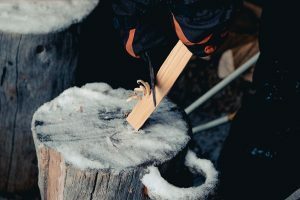 Additionally, different types of wood have different levels of resin, gum, sap, and other things that could mess up your tools if you use the wrong ones. Stainability is also a huge factor, as different types of wood have different pores that can accept (or reject) certain types of stains. These all have to be factored in before you select the wood you want to work with. While this is not an exhaustive list, the wood that we’ll be discussing are some of the most common ones used in woodworking projects. Scientific name Juglans Nigra, Black Walnut is one of the most popular woods for wood workers because of its beautiful pale to dark brown color. It usually has a straight grain, although irregular grains are not uncommon. Usual grain patterns range from curls and crotches, with the occasional burl, giving the wood a very distinct visual appearance that makes it unnecessary (and in some cases, undesirable) to stain. It’s important to note, however, that black walnut is mildly toxic to humans and other plants. Black walnut shavings are a known sensitizer that can trigger allergic reactions like eye and skin irritation. While the effects are mild to humans, it can be deadly for horses. Known as Tilia Americana, this species of wood is native to Europe and Eastern North America and is the go-to wood for most beginners. This is because Basswood is soft, with almost no grain, making them very easy to work with. Basswood is usually light brown to pale white in color, with the heartwood and sapwood sections blending in almost seamlessly with one another. 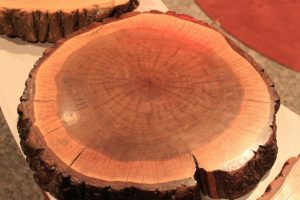 Defects like knots, boxed hearts, or compression fanures are uncommon to this wood, which makes it a popular choice for musical instruments like woodwinds, guitars, and electric basses. Cheap, malleable, and easy to work with, beginner carvers should work with basswood as much as possible while they’re starting out so they can hone their hand carving skills. A couple of downsides: basswood has moderate to low resistance to rot, and can rupture under average pressure, so take note of this before using it for projects that require putting weight onto the product. Also known as White Walnut, Butternut wood, or Juglans Cinerea, is native to the Eastern United States. It has a typically straight grain like basswood or aspen but is darker in color. Butternut wood is usually light to medium tan, with some woods carrying an almost reddish tint, with distinct grain patterns and dark rings. It has a naturally silky luster after polishing, although care must be taken during sanding as this can leave a fuzzy texture on the surface. 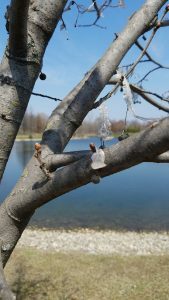 It has a moderate resistance to decay, but recent crops of butternut have suffered from a fungal disease called Butternut Canker, prompting the US Fish and Wildlife service to classify Butternut as a “species of federal concern”. Also known as Quaking Aspen, Populus Tremuloides can be found in Canada and the northern parts of the country. Much like basswood, it is soft, with straight grains and a uniform texture. It is, however, stronger than basswood and can withstand more weight. Sharp cutters are recommended to avoid a fuzzy surface, but most machine and hand tools will work well with it. Its softness does make it difficult for the wood to hold nails, and it tends to distort and warp during drying. However, glue and other adhesives work well with it, making it perfect for utility products like boxes, plywood, and veneers. It can also be used in the manufacturing of paper. 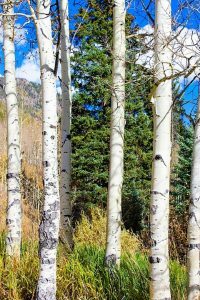 Aspen is widely and readily available and is perfect for beginners. Take note, however, that aspen is susceptible to insect attacks and must be treated accordingly. Another popular wood for carving, the Oak wood is known for its strength, sturdiness, and aesthetic appeal. There are over 600 different types of oak, with North America being home to at least 90 of those types. Oak is one of the oldest woods used for carving, with ancient wood workers using it as hardwood timber for temples, boats, and other constructions. Nowadays, oak wood can be used in all types of projects, from wine barrels and firewood to furniture and homewares. Oak wood varies in color, depending on the type, but one thing all oak trees have in common are their prominent grains and their dense structure. Red Oak and White Oak are the most commonly used types of oak for woodworking projects, and their open pores means they stain easily and beautifully. Although Oak is widely available, it’s interesting to note that Oak trees need to mature to 150 years before the wood can be viable for use. Oak wood is also naturally resistant to decay, although it can be susceptible to insect attacks if not treated properly. Like what was mentioned earlier, there are over 60,000 species of trees in the world, and most of them can be used for carving. 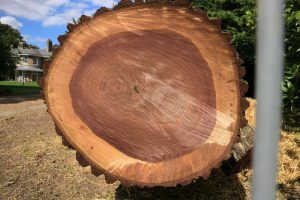 Don’t limit yourself to our list; read up on the various types of trees, the wood they can provide, and the techniques and tools needed to work them. While working on a piece of wood is fulfilling in itself, you can still be surprised by how much pride and joy a finished wood working product brings to a craftsman!